Here’s video from my two visits to Indonesia in 2014 – a fascinating new country that I’m only just beginning to explore, and can continue to do so through gamelan (like Indonesia itself it gets more complex & interesting the more you look). Partly because I’ve visited several countries in East Asia now, and lived in two (Japan and South Korea), Indonesia seems like something else entirely. It’s less Chinese-influenced and has a style of its own. [Diary from September] This trip was just enough for an introductory sampler. I decided to focus on the arts this time rather than the mountains, ocean and jungle which would require more time, money and preparation. 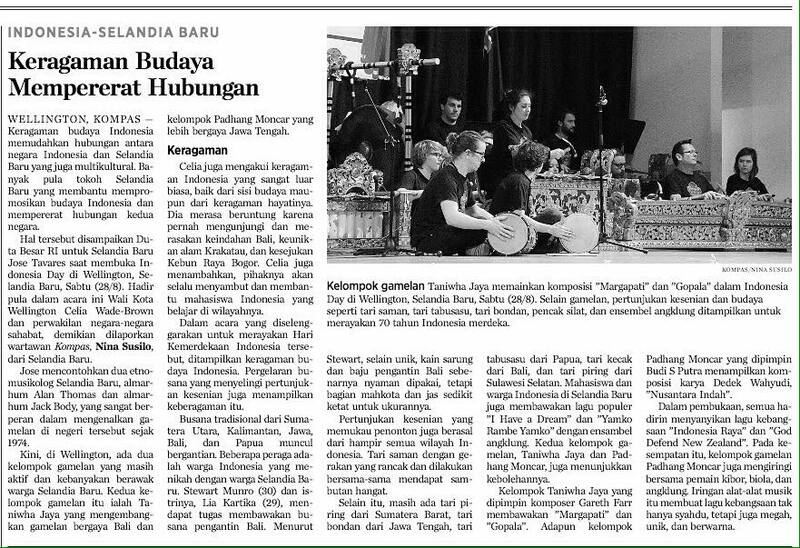 This entry was posted in 2014, Asia, Indonesia, Travel, video and tagged Borobudur, Central Java, ethnomusicology, gamelan, Indonesia, Java, Kraton, Southeast Asia, travel, Yogyakarta.